Flexible and well balanced. Carbon steel blade and soft grip handle. 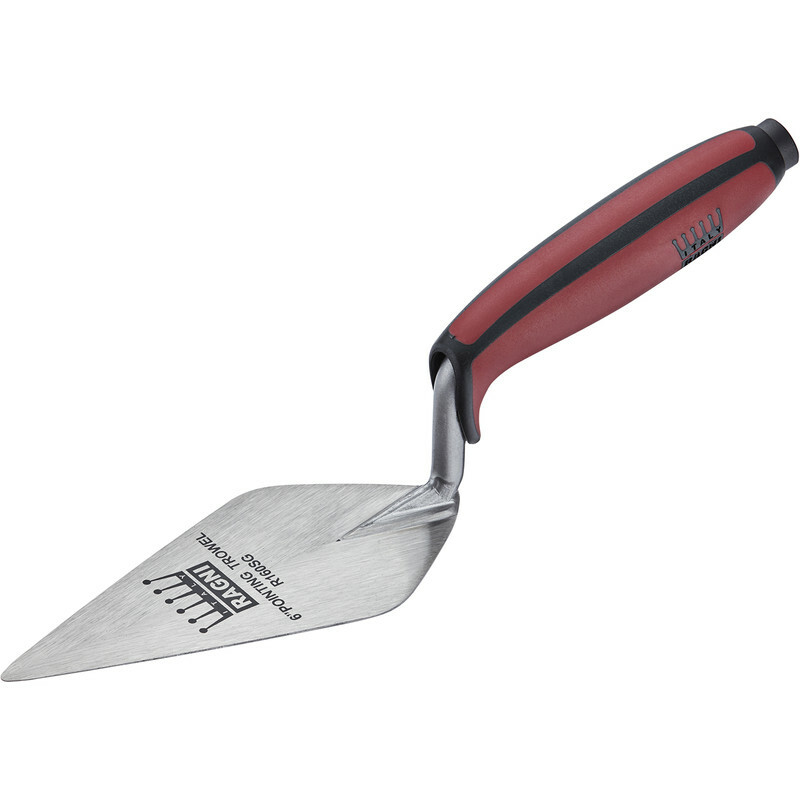 Ragni Pointing Trowel 6" is rated 4.8 out of 5 by 6. Rated 5 out of 5 by Jonma from Good value for money I purchased one of these a few years ago and was pleased with it but have lost it so purchased another one. Based on previous purchase they last well for extensive diy use. Tool is light and easy to use but I am not a bricklayer but can lay bricks and point up. Good enough for me. Rated 5 out of 5 by Stewg from Quality pointing trowel I have more that 1 of these now as I rate them highly, after purchasing my first Ragni trowel after using it a while my mind was made up, I then purchase more & more, these are well made & will last years if looked after as I do, recommended trowel that doesn't cost a fortune, well balanced & it just get better & better with use, great bit of kit. Rated 5 out of 5 by HughieC from Cheap n cheerful I went for the cheapest one cos only doing one little job and it did the job nicely. Rated 4 out of 5 by ColinB897 from Good value tool Bought to fill in a gap in our trowel set. Robust, comfortable to use, easy to clean, very good value. Rated 5 out of 5 by Rottidog from Perfect! Did a great job along with a mortar gun for pointing a lot of holes in a wall. Nice quality and a comfortable grip handle. Rated 5 out of 5 by the machine from Nice balance As a bricklayer for 50 years I found that this trowel was very good for the price.